Starve the Landfill, Tend the Earth, and Feed the People! We’re a weekly compost collection service for apartment dwellers that partners with food-justice oriented community farms, turning your “waste” into a source of abundance for communities and the ecosystems we all depend on. Our farm partners regularly receive your finished compost at no cost to them. This supports their soils greatly by saving water, improving soil structure, fertilizing crops, and reintroducing important microbes back into the soil. It helps the farms in their organic food production efforts, with harvests that provide healthy food access for communities otherwise unable to afford it. Denver Compost Collective’s goal is to become a worker-owned cooperative – a democratically run, collectively-owned enterprise – so we can be a truly community-powered organization. Our members’ weekly contribution feeds the soil to grow more healthy food, while building community power, all while minimizing climate-changing pollution at the radically local, “down to Earth” level… Join us and be a part of the magic! 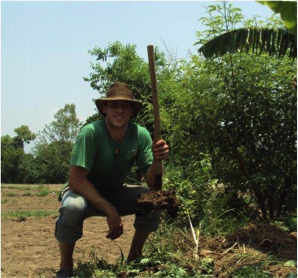 Shawn has been composting since 2010 and is a social & environmental activist at heart. 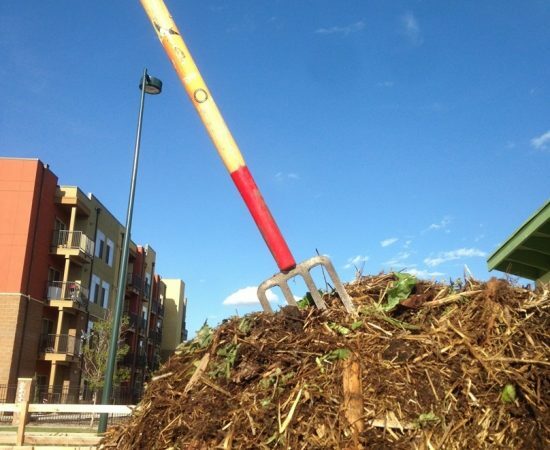 As a Certified Master Composter, Shawn has taught classes on backyard composting and vermiculture (worm composting) on a volunteer basis at community gardens throughout Denver. 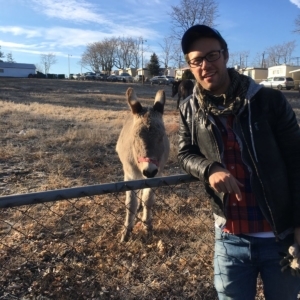 After successfully working for two years to institutionalize compost collection at Auraria campus in Denver (an entirely student-led effort by Auraria Compost Group), Shawn sought to join other efforts to broaden the practice of composting and “zero-waste” practices in communities at home and abroad. After some learning experiences (read: disillusionment) with both the corporate and the nonprofit “top-down” approaches, and a slow-but-steady critical analysis of the ways class and race issues are too often ignored or mishandled by the “Green” economy, Shawn made the decision that the best way to share the many benefits of composting with the community is as the community. Thus, a small, neighborhood-based, worker-owned company is born. Shawn’s vision is to start small, grow “organically” (ahh, puns), reach beyond his comfort zone and meet others who are as interested in engaging with (and perhaps even co-owning) this powerful little enterprise as he is. Jimmy is a life-long learner, plant wizard, and entrepreneur whose holy trinity revolves around health, justice, and rock n’ roll. He is in the process of establishing a half acre urban market garden in Denver and getting his herbal extract business Counter Balance Herb Company in local stores near you. The best part of farming & gardening, he says, is ‘building relationships’, ‘cultivating a connection to the earth’, and ‘being able to eat an absurd amount of free organic vegetables every day’. Jimmy loves working with DCC because of the company’s core values, unique business model, and crucial role in the local community food system. I consent to Denver Compost Collective collecting my details through this form.